Culture just means something we've done for a long time (and not always that long). Allowing the abuse of animals is beneath us. It belongs in the past along with other cultural gems such as forced marriage, stoning, whipping, fox hunting, badger baiting...any such unnecessary cruelty has no place in modern society. "Culture" isn't a special exemption to continue barbarism. This doesn't seem to be any different than suggesting that slavery, subjugation of women, and child labor can be preserved because they are historical and cultural practices. By that mechanism the expansion of rights and equality could always be blocked and any barbaric practices could be perpetuated. Traditions evolve as culture does. As a tradition, it represents violence, cruelty and disrespect for animal life and rights. The history of bullfighting can be preserved in archival or display manners. But the practise should be banned as an obsolete and a barbaric tradition. The human race does not need to include acts of animal cruelty for the sake of culture, we need to move on as a species. To do this we should celebrate and lift up non-exploitative traditions instead. 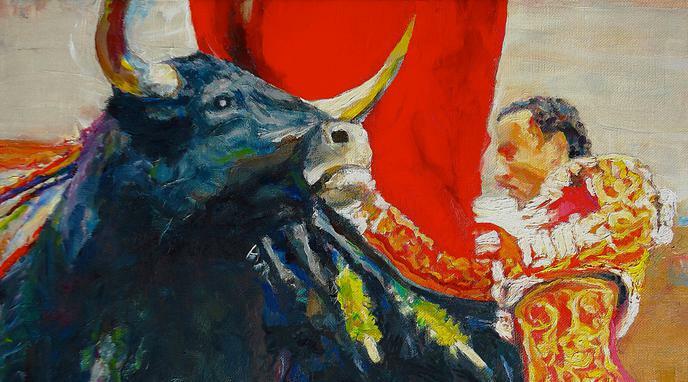 Bullfighting is an example of a harmful cultural practice, using tradition as an excuse to discourage change. Banning bullfighting in a country, or changing it to avoid physical cruelty, sets a precedent to review and possibly change other cultural values that might not make sense in a modern society. Human slavery was also part of the culture of a large part of the western world, yet this is not an argument to maintain such immoral practices. Culture changes with time and this should be reflected in the moral values and practices maintained.